How easy is it for consumers to get the help they need to make good financial decisions? The answer, say the government, is that it’s not at all easy – in fact, it’s pretty confusing!  For many in the advice world, it may seem like a only few years since this same question was asked in the Thoresen Review, which resulted in the creation of the Money Advice Service (MAS). Since then, we’ve had new pension freedoms, a raft of welfare reforms and savings initiatives, as well as rapid growth in digital services. These changes, coupled with a rebalancing of the responsibilities of government, the private sector, regulators and charities, and on-going questions about the effectiveness of current support, render yet another rethink of how government-funded debt, money and pensions help are delivered. A new pensions guidance body, merging The Pensions Advisory Service (TPAS) and Pension Wise, whose key objective will be to make sure that consumers can get all their pensions questions answered in one place. This will be accountable to the Department for Work and Pensions (DWP) and will be funded by a levy on the financial services industry, and a levy from pensions schemes. What might this mean for publicly-funded debt advice? Naturally, we’ve been looking at what this might mean for publicly-funded debt advice. The good news is that the government continues ‘to consider it a priority to help those facing problem debt’. But whilst these are certainly warm words, they will need to be backed up by the detail. So what do the proposals tell us? 1. The Treasury are taking a clearer lead on consumer debt policy…. In the new model, the Treasury will approve the business plans, budget, CEOs and Chairs of the new bodies, and the FCA’s role will be limited to collecting the levy. This puts the government, and importantly ministers, firmly back in the decision-making seat, following the rather messy arrangements whereby the FCA appeared to have oversight of budgets and business plan, but Treasury on other areas. As the consultation notes, the accountability arrangements behind MAS were ‘not sufficiently clearly drawn’. It also signifies a subtle change in policy direction within HM Treasury as it now takes on a more active role in relation to consumer policy generally, and consumer debt policy. This will be a welcome move following a few years of uncertainty for stakeholders about who to speak to in government – BIS (who used to lead on consumer policy, and still lead on personal insolvency issues), DWP (where some consumer issues and pensions now sit, as well as budgeting for universal credit) or the Treasury. Consider direct government funding. Arguably the government itself, as creditor and a growing contributor to debt problems (council tax debts now account for a quarter of the debts National Debtline sees), should contribute to funding the delivery of debt advice. More on this another time though…. Unlike MAS, which, in its early years, came in for criticism for brand building and duplicating existing services, the new body will be a slimmed down, ‘largely invisible commissioner of services’. It won’t have a consumer brand or consumer-facing website. While this may result in some efficiencies, it will be crucial to ensure that the helpful tools products, and research, that MAS have developed continue to have a home and don’t get lost in the transition. Getting the new commissioning framework right will be the single most important part of setting up the new body. 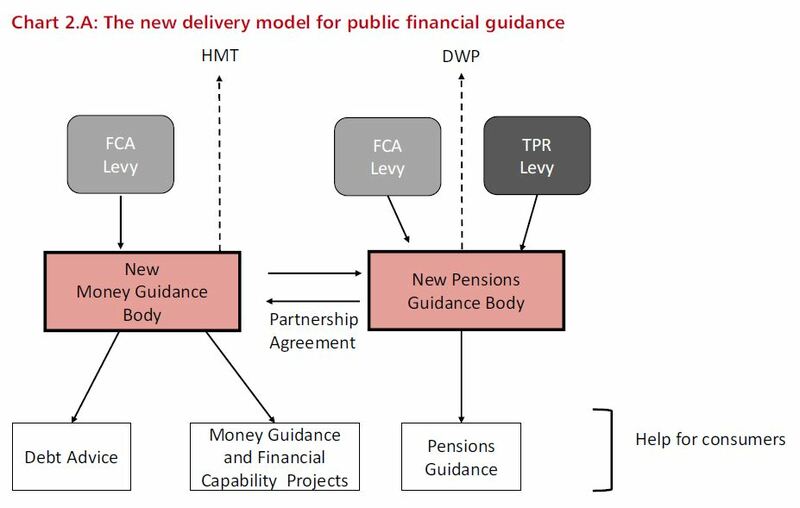 It will need to fully understand the need for and gaps in debt advice provision, and act as a steward to the market, working closely and collaboratively with both funders and advice providers. We’ll be keen to explore potential new models, such as those used in the health sector, that can help to achieve the best outcomes (as opposed to outputs – a distinction we were pleased to see in the proposals!) for people in debt. Well, it’s going to be a long transition process! Firstly, the Treasury are consulting on the detail of the new delivery model. We’ll be speaking to our Partnership Board to gauge the views of the advice sector, creditors and others so that we can respond by the 8 June. Then, to make any of the proposed changes, the government will need primary legislation which is likely to take 6-12 months, followed by a transition period. In this time, there is likely to be a rather technocratic debate on definitions and ‘advice’ and ‘guidance’…. (debt guidance anyone?). This takes us to April 2018, two years off, before the new bodies are put into place. While this may seem distant, it gives government and stakeholders time to help shape the new approach and apply the lessons from previous reviews. And it will be worth it if consumers end up with better clarity and services. Next A full and final end to questionable debt management models?